So how do I know that Dr. Jan Schleusener is a liar? Because, it is I of whom he lies! Also of Hans Heinrich Thyssen. But ‘Heini’ is no longer with us, so, as his biographer, I inherit a responsibility to question any libellous accusations concerning our personal and professional relationship, as well as about my credibility as an author. The lies in question are contained in a book titled ‘The Expropriation of Fritz Thyssen’, written by Schleusener, published in March 2018 by Ferdinand Schöningh Verlag and funded by the Fritz Thyssen Foundation. In this book, Jan Schleusener states that ‘Heini’ and I ‘fell out’, due to his ‘cancellation of his commission’ for my writing his biography. Schleusener even gives the page numbers of the German edition of my book, ‘Die Thyssen-Dynastie’, on which he falsely claims I confirmed this situation. Furthermore, Schleusener insists that my book contains vast swathes of ‘polemic revenge’ against ‘Heini’ and that it was obviously NOT written ‘sine ira et studio’. He then asserts that while I studied many pertinent sources, I interpreted them one-sidedly and ‘took into account only those aspects’ that supported what he purports to have been my ‘intention to scandalise’. The truth is that the cancellation was subsequently rescinded without ever having been the cause of friction. I got on incredibly well with ‘Heini’ Thyssen (as did Caroline Schmitz, my German ‘collaborator’) and had no reason to be vengeful; quite the opposite in fact. This is explained in some detail in my book, while Dr Schleusener made no attempt to contact me or clarify the situation when researching his book. So there can be little doubt that his accusations are not only false but also malicious and designed to damage my reputation and credibility as an author, and as such they qualify as libellous. I would also assume that as he is an academic, albeit a junior and undistinguished academic, Dr Schleusener’s students, the relevant seats of learning who reward him and the Fritz Thyssen Foundation would all expect him to adhere to certain standards of honesty and professionalism, which he obviously isn’t respecting. This is of particular concern when it comes to his coverage of history relating to the Third Reich. So Dr Schleusener presumably considers lying to be an acceptable practice, regardless of the subject or period. This was manifest in his dismissive response to my e-mails demanding a retraction and apology, while his publisher saw fit to ignore my request altogether; which doesn’t bode well for the accuracy of their whole academic series of Thyssen books. Finally, I would like to address Dr Schleusener’s accusation of my having ‘scandalised’ evidence, as I had no reason to do so; the story being quite sufficiently scandalous without the need to resort to exaggeration. As a point of interest, it was ‘Heini’ himself who suggested the cover line, ‘Shame and scandal in the family’ as a title. And as far as our friendship was concerned, I should remind Dr. Jan Schleusener of the last paragraph of my book: ‘In my role as Heini Thyssen’s confessor, it was a family I had become part of and would no doubt continue to do so. I would also never raise a glass of red wine to my lips without thinking of him.’ Hardly the reflection of a man bent on revenge. Weshalb ich weiss, dass Dr Jan Schleusener ein Lügner ist? Weil ich es bin, über den er lügt. Und ebenso über Hans Heinrich Thyssen. Aber „Heini“ weilt nicht mehr unter uns, und so erbe ich als sein Biograf die Verantwortung dafür, jedwede verleumderische Anschuldigung über unser persönliches und professionelles Verhältnis – sowie über meine Glaubwürdigkeit als Autor – zu hinterfragen. Die erwähnten Lügen sind in Dr Schleusener’s Buch „Die Enteignung Fritz Thyssens“ enthalten, welches vom Ferdinand Schöningh Verlag im März 2018 veröffentlicht und von der Fritz Thyssen Stiftung gefördert wurde. In diesem Buch behauptet Jan Schleusener, es habe ein „Zerwürfnis“ zwischen „Heini“ und mir gegeben, nachdem er den Auftrag an mich für das Schreiben seiner Biografie „wieder zurückgezogen“ habe. Schleusener verweist sogar auf bestimmte Seiten der deutschen Ausgabe meines Buches „Die Thyssen-Dynastie“, wo, so gibt er fälschlicherweise an, ich diese Situation bestätigt hätte. Weiterhin besteht Schleusener darauf, mein Buch enthalte „in weiten Strecken“ eine „polemische Abrechnung“ mit „Heini“, und dass es „überdeutlich nicht sine ira et studio geschrieben“ sei. Sodann beteuert er, dass ich zwar „viele einschlägige Quellen studiert“ hätte, diese aber „einseitig“ auswerten würde, um meine „skandalisierenden Absichten“ zu stützen. Die Wahrheit ist, dass die Absage später zurück gezogen wurde, ohne jemals Friktionen hervor gerufen zu haben. Ich habe mich mit „Heini“ Thyssen überaus gut verstanden (und genauso ging es auch Caroline Schmitz, meiner deutschen Mitarbeiterin) und hatte keinerlei Grund, irgend eine Rache an ihm zu üben; ganz im Gegenteil. Die genauen Umstände unserer Beziehung habe ich in meinem Buch geschildert, aber Dr Schleusener hat während er seine Studie erarbeitete weder versucht, mich zu kontaktieren, noch die Situation klar zu stellen. Es kann also kaum ein Zweifel daran bestehen, dass seine Anschuldigungen nicht nur falsch sind, sondern obendrein böswillig und darauf ausgelegt, mein Ansehen und meine Glaubwürdigkeit als Autor zu schädigen. 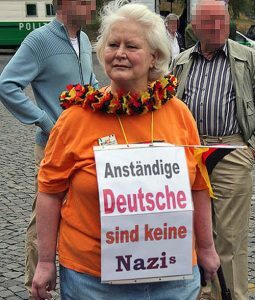 Als solche sind sie als verleumderisch anzusehen. Ich würde auch annehmen – da er ein (wenn auch bisher wenig etablierter Nachwuchs-) Wissenschaftler ist -, dass seine Studenten, die Stätten der Gelehrsamkeit, bei denen er in Stellung ist, und auch die Fritz Thyssen Stiftung, alle von ihm erwarten würden, dass er an gewissen Standards der Ehrlichkeit und Professionalität festhält. Dies tut er aber offensichtlich nicht. Das ist besonders bedenklich, wenn es um seine Forschungen zum Dritten Reich geht. So nehme ich an, Dr Schleusener erachtet das Lügen als eine zulässige Gepflogenheit, unbenommen des Themas oder erörterten Zeitraums. Dies wurde deutlich aus seiner abschlägigen Anwort auf meine E-Mails an ihn, in denen ich meiner Erwartung eines Widerrufs und einer Entschuldigung Ausdruck gab. Sein Verleger sah es als gänzlich unnötig an, mir überhaupt zu antworten. All dies sind keine guten Vorzeichen hinsichtlich der Genauigkeit dieser ganzen akademischen Serie von Büchern zum Thema Thyssen. Schlussendlich möchte ich noch Dr Schleusener’s Anschuldigung behandeln, ich hätte gewisse Aspekte „skandalisiert“. In Wirklichkeit hatte ich gar keinen Bedarf, etwas zu skandalisieren, da die Geschichte selbst ohne jegliche Übertreibungen schon skandalös genug ist. Interessehalber: es war „Heini“ selbst, der den Titel-Slogan der englischen Ausgabe „Schande und Skandale in der Familie“ vorschlug. Und so weit es meine Freundschaft mit „Heini“ betrifft, so darf ich Dr Jan Schleusener an den letzten Paragraphen meines Buches erinnern: „In meiner Rolle als Heini Thyssen-Bornemiszas Beichtvater bin ich ein Teil dieser Familie geworden und werde es wohl immer bleiben. Und niemals werde ich ein Glas Rotwein an meine Lippen führen, ohne an ihn zu denken“. Nicht gerade die Gedanken eines Menschen, der auf Rache aus ist. It was recently announced that the Thyssen-Bornemisza Museum in Madrid has suffered a loss of some 4.5 million Euros during 2014. Considering the fragile state of Spain’s economy and the fact that, contractually, they are not permitted to capitalise on the value of the collection by selling any of the pictures, it was bad news. But worse was to come. 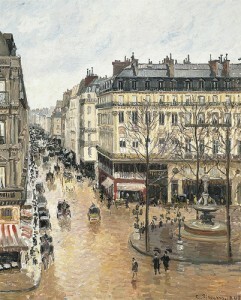 For it was also revealed that the total legal costs of defending a claim by surviving members of a German Jewish family against the Thyssen-Bornemisza Museum for the return of a picture painted by Camille Pissarro that they claim to have sold under duress to the Nazis in 1939, and which was subsequently procured by the Thyssen family before being sold on to the Spanish nation, has now reached 1.3 million Euros. 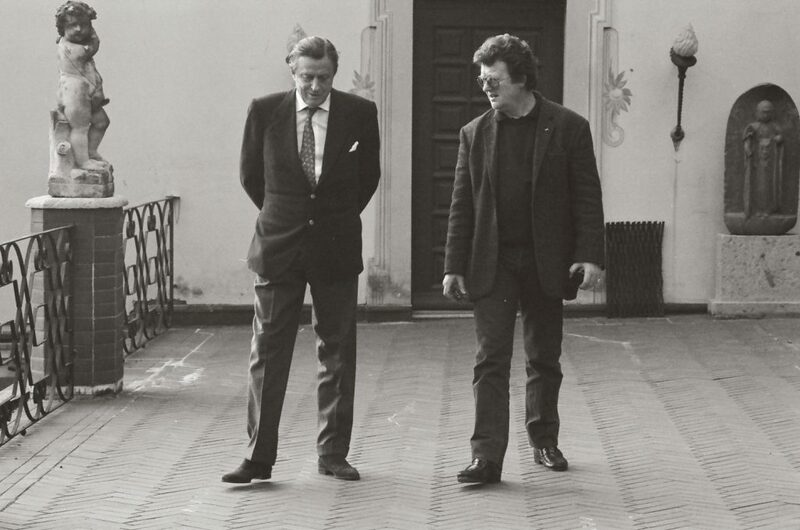 Heini Thyssen and his father had always used their art collection as a smoke screen behind which they could hide the fact that much of their fortune was the result of profits earned fuelling and arming the Third Reich and supplying it with banking facilities. 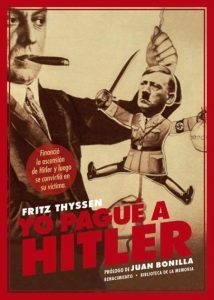 One of the unfortunate effects of such a restitution claim is that it reminds people of the Thyssens’ Nazi past and the fact that it is the Spanish people who are being obliged to fund the protection of the Spanish ‘investment’ as well as the defence of the Thyssens’ name, who in turn have not exactly been forthcoming in contributing to the coffers of the Spanish tax authorities. And while the American lawyers are representing the Cassirers on a contingency basis, which avoids the family having to make any contribution to costs, the plaintiffs remain all too aware that every time they mount another appeal (which they are doing at this very minute), the Spanish legal fees, for which there is no ultimate profit which they can be offset against, continue to mount. As do the Museum’s losses. Thus there must come a time when the Spanish will be obliged to ‘take a view’ and hand the picture back. To us it has always been clear that this collection would one day reveal itself as a poisoned chalice for the host country. The Cassirer claim, if successful, could open the gates to further claims against the museum, as there is no shortage of paintings in its holdings with questionable provenances, a fact that the Spanish failed to identify by independent verification before they committed to buy. The potential for a major eclat is intrinsic to the Thyssen-Bornemisza Collection. The only question is: how long will it take to unravel? In a recent court brief the Foundation contends that the plaintiffs (the Cassirers) ”continue their campaign to tarnish the Foundation’s image with “red flags” to suggest actual knowledge of the 1939 taking or, at the very least, a level of negligence that warrants punishment.” The Thyssen-Bornemisza Museum has tarnished its own image by knowingly hoarding Nazi looted art in violation of the Washington Conference Principles and the Terezin Declaration. This is shameful and the “Baroness” needs to be held to account. Camille Pissarro: "Rue St Honore, apres-midi, effet de pluie" (1897).